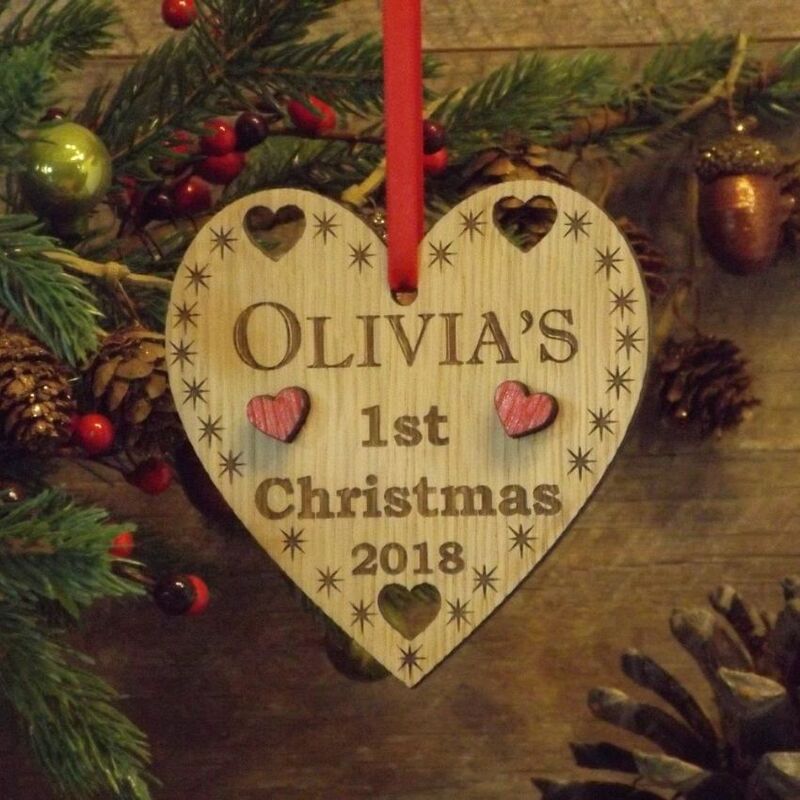 The perfect gift and memento to celebrate baby's 1st Christmas! 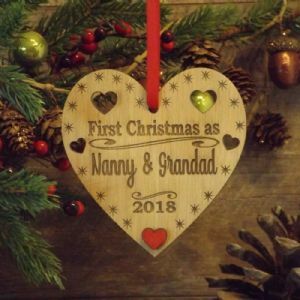 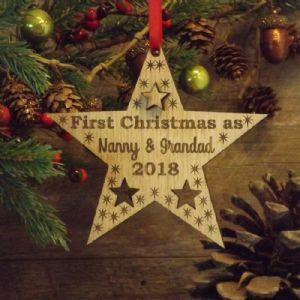 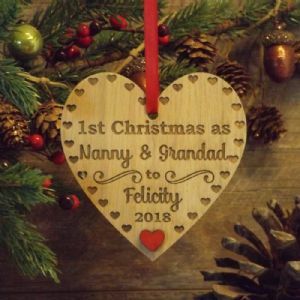 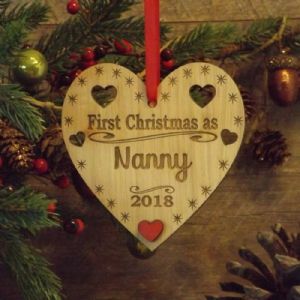 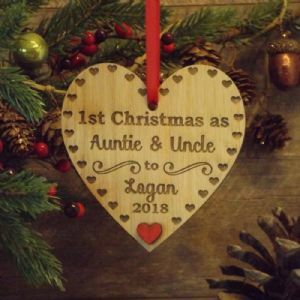 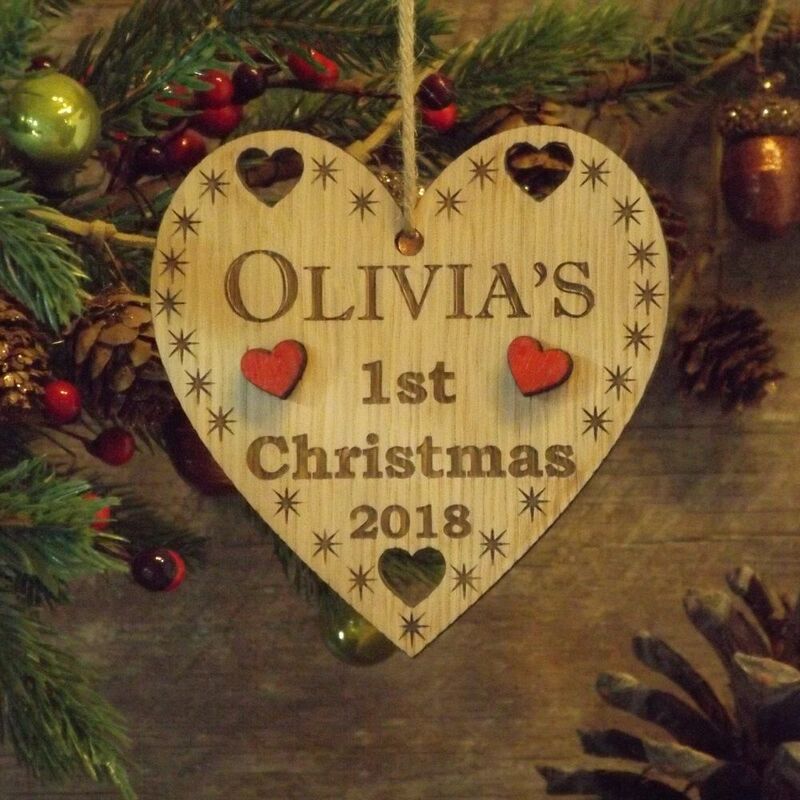 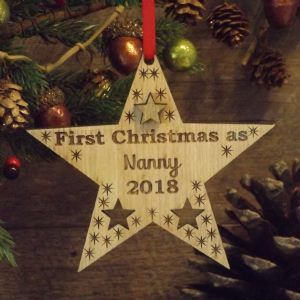 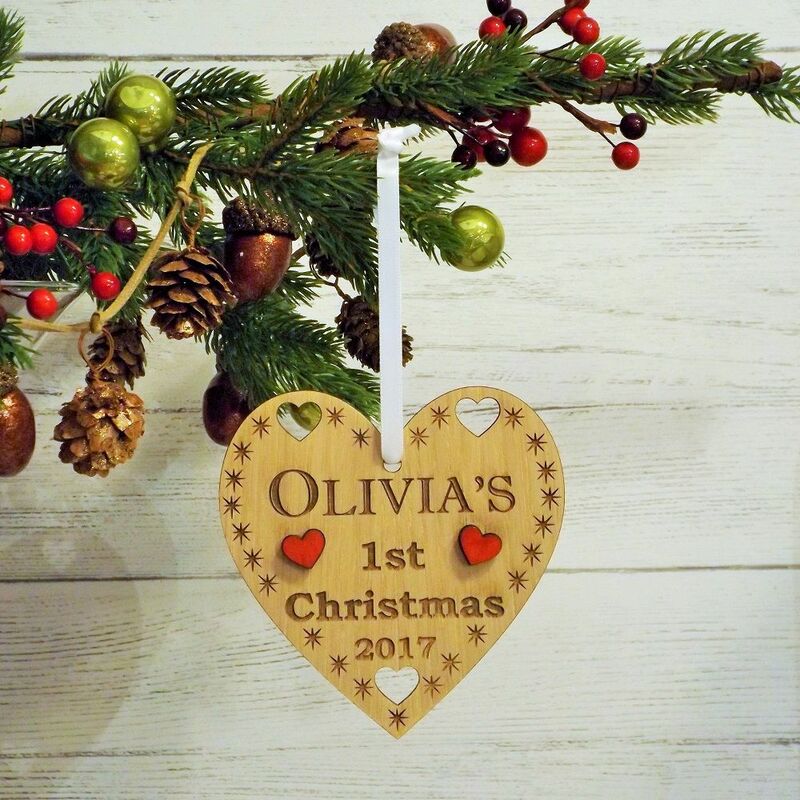 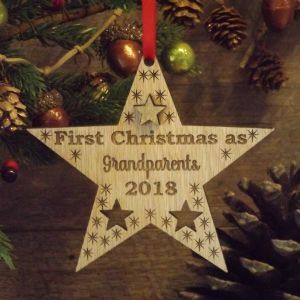 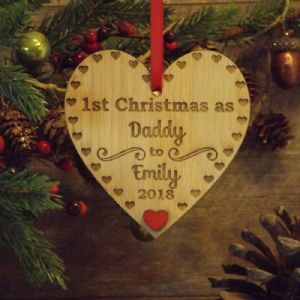 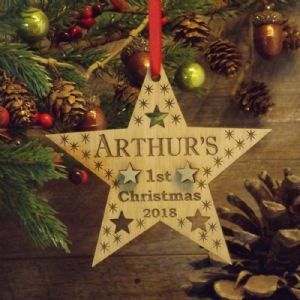 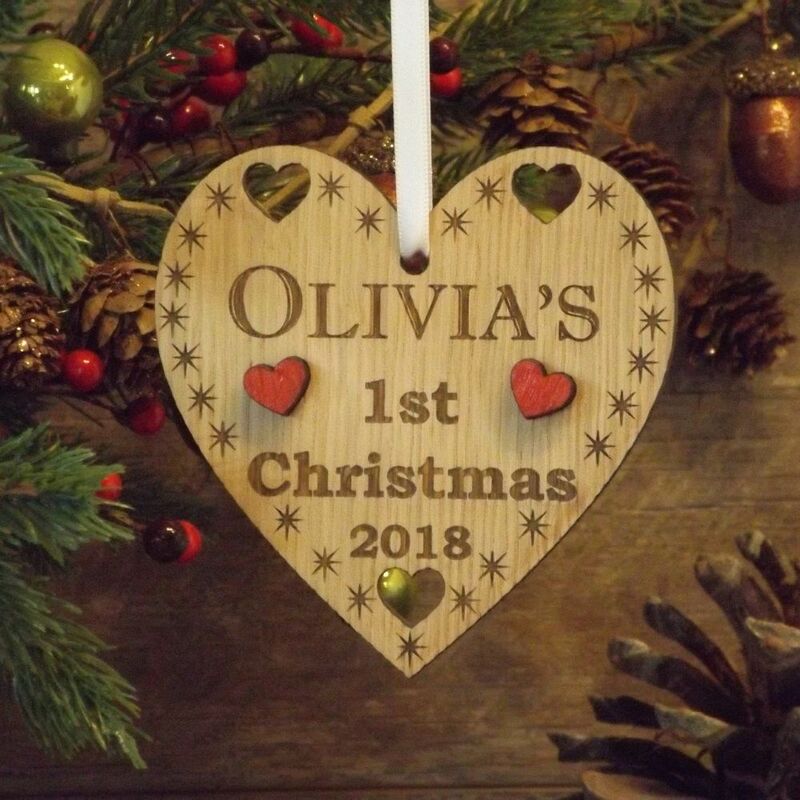 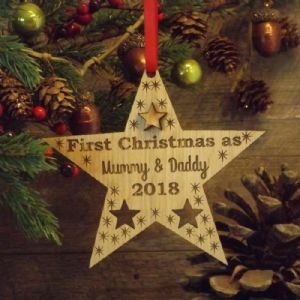 Our beautiful rustic wooden heart decoration can be personalised with a baby's first name and also the year of their first Christmas. 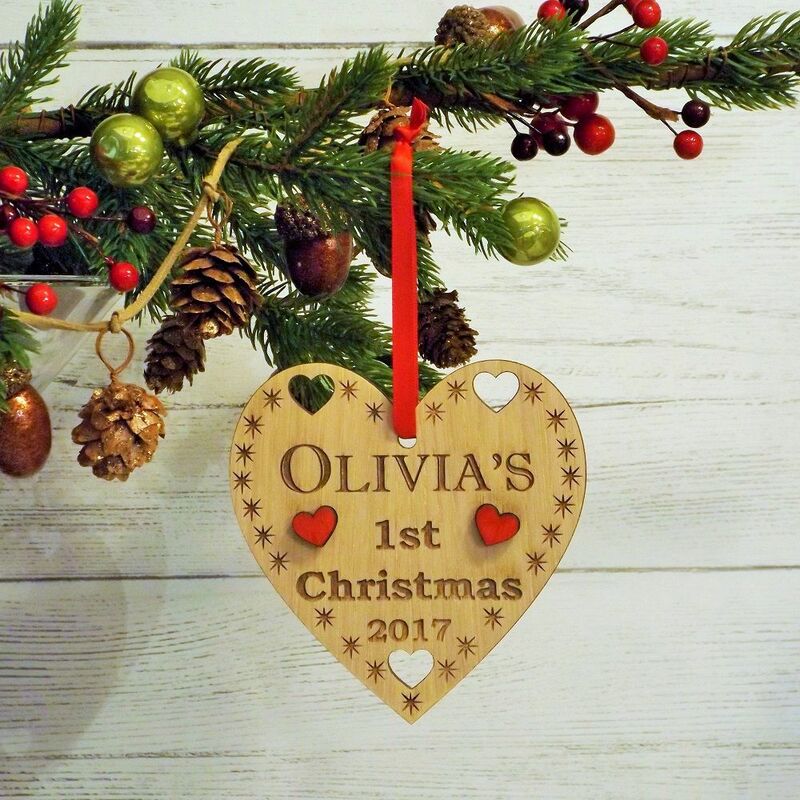 Made from oak veneered wood the heart features a pretty design with three cut-out hearts and two raised handpainted red heart embellishments.